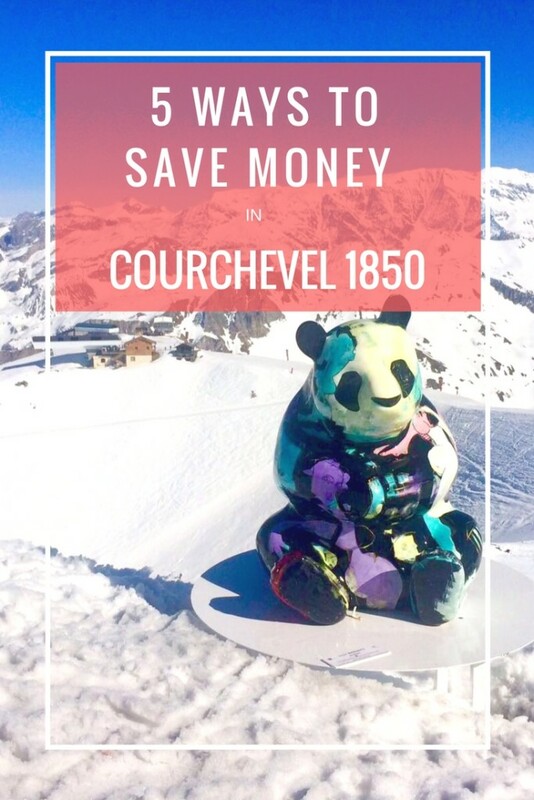 If you’re a skier then chances are you have heard of Courchevel 1850 in Les Trois Vallées (the Three Valleys) and I would guess that unless you are very wealthy you were warned against going for fear of quite literally breaking the bank! Well I can confirm after staying in Courchevel 1850 last week that this is most definitely true. Had I opted to live the Courchevel 1850 way of life for the week, I would have broken the bank on day one, in fact I almost did. The cheapest thing on almost any menu is 28 euros for a spaghetti bolognese, I soon realised I was in the wrong place and hop skipped and jumped out of there in my ski boots. Yikes! I skied at the end of the season, so my number one priority was staying somewhere high so we could try to make the most of the snow that was left. 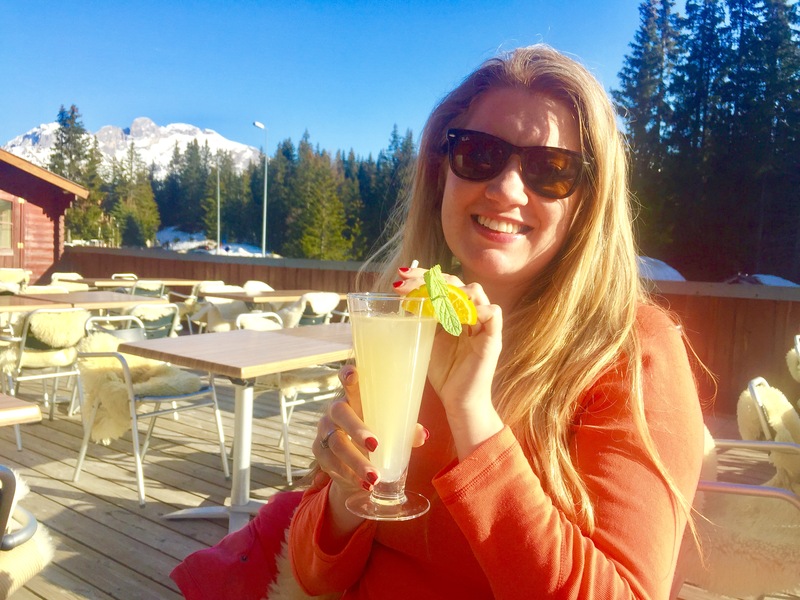 The best deal was in Courchevel with Crystal Ski, in fact it was almost too good to be true at £550 each, including flights, transfers and half board, at a hotel with a swimming pool. Winner! Well it almost was a winner, until we arrived and realised just how pricey Courchevel 1850 can be! Skiing is expensive at the best of times, and though in recent years it has become less of a ‘rich man’s sport’, it certainly isn’t the cheapest getaway out there. By the time you’ve added up hotel, flights, ski and boot hire and lift pass you’ve often spent up before you even think about all the Chocolat Chaud’s and aprés ski drinks you want to guzzle during your trip. 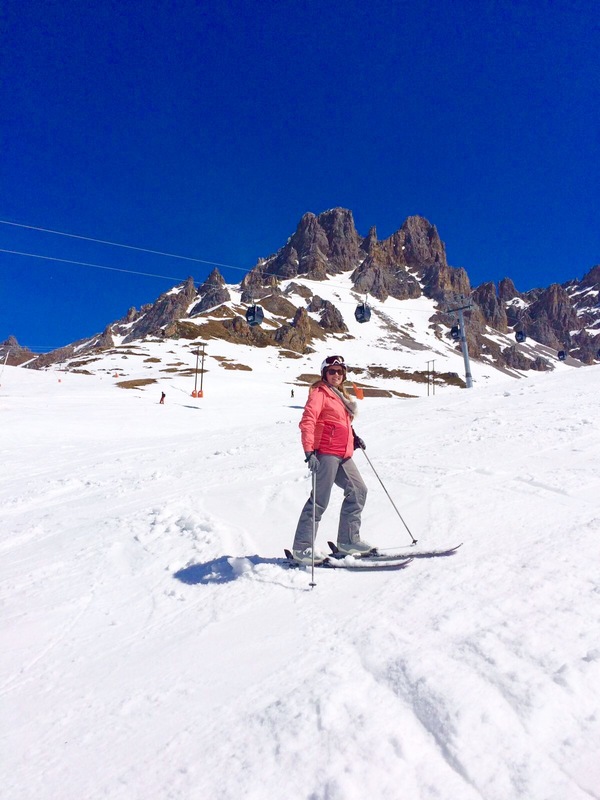 So to take the hard work away from you I have put together my list of 5 ways to save money when skiing in and around Courchevel, from booking advice to last minute saving tips. 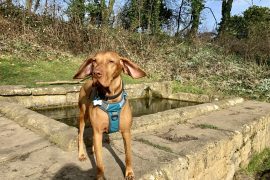 Ok so this is a biggy, if you want to save your spending money then make sure you book an ALL inclusive hotel or chalet. The ‘all’ is capitalised for a reason, because ‘half board’ does not mean everything and sometimes ‘all inclusive’ doesn’t actually mean everything… wine bills anyone?! No we don’t want wine bills, we want free wine, or at least wine that’s included in the price (or beer, whatever floats your boat). Last week we stayed in a half board hotel, which did not include wine or any drinks whatsoever, except orange or tea and coffee at breakfast. If we wanted wine we had to pay a minimum of 25 euros for the privilege. Needless to say we lived off water most of the week. Don’t even get me started on hot chocolate, which was 6 euros in the hotel. 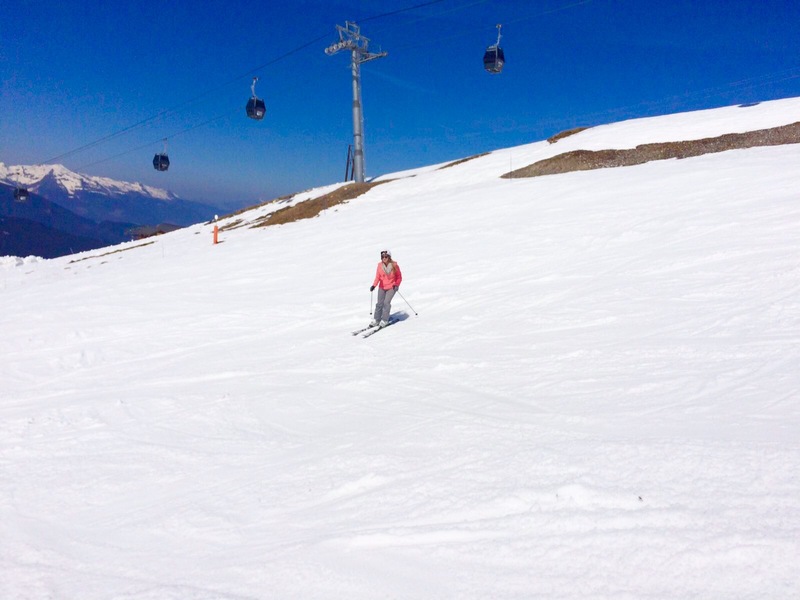 Cheap compared to the rest of Courchevel (ouch!) but still more than my wallet wanted to stomach. All inclusive on a ski trip should include, breakfast, afternoon snacks, dinner and wine/beer/juice/fizzy drinks to drink to your hearts content. Albeit the cheap stuff, it’s still free and keeps you going through the cold wintery nights. If you’re lucky it might also include a pack-up for your lunch, though that may be pushing it! So do you research and find the best all inclusive deal you can, as in the long run you will save lots of money! 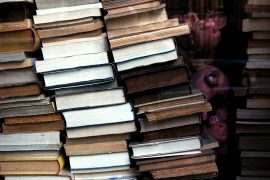 Don’t be fooled by end of year sales when going late in the season. It merely means the 5000 euro ski jacket will now be 4000 instead. Still way above my budget and probably yours. Prada ski jacket anyone? One year eh?! It used to cost a fortune to kit yourself out in all the latest ski wear but these days you can grab a bargain in loads of outdoor shops or online in the U.K. I was sent a pair of Trespass ski pants (still struggle to spell salloppettes, salopetes, salopettes?!) 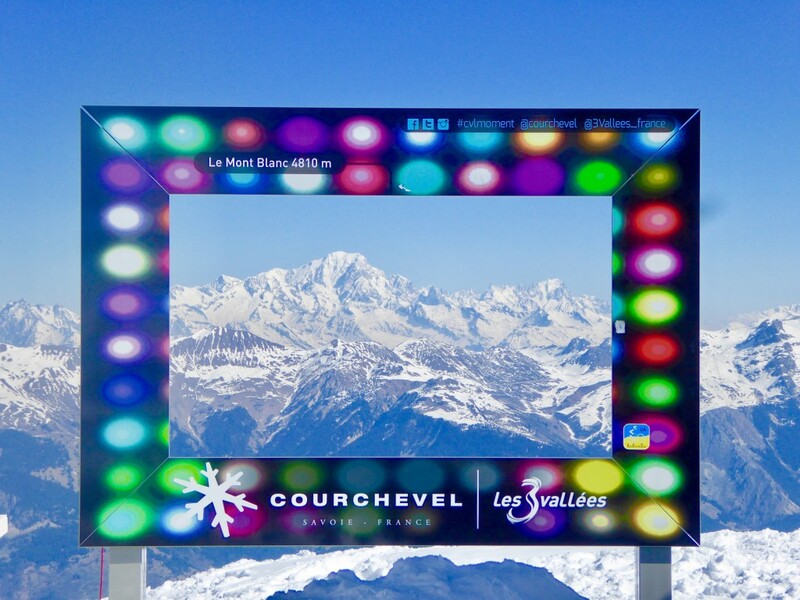 to try out and believe me they are just as cool, but way cheaper than anything you could find in Courchevel. 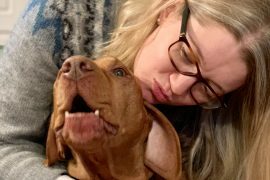 I tried the Tasha Tresspass ski pants in grey and loved them. My last pair had shrunk *cough* in the wash and every time I moved the poppers would come undone so it was definitely time for a new pair. They were comfy, cosy and had lots of pockets to keep me stocked up on snacks throughout the day. Anyone else obsessed with Carambars by the way? YUM! Anyway… the Tasha ski pants are priced at a very reasonable £39.99 and I will certainly be using them again next time I go skiing. I went for a large, so I would say go up a size compared to normal… or maybe I need to go on a diet. Either way the large fitted just fine! Now this little discount card was our life saver! They really should make more of a deal of this, telling people when they book as some of the deals on here are amazing! At the beginning of each season Crystal reps move around the resort looking for businesses who will offer a discount to their customers. I’m afraid to say no one in Courchevel 1850 signed up, somehow even with their crazy prices they still seem as busy as ever! However they do have quite a few businesses in neighbouring Meribel and down at La Tania and even Courchevel 1650 who sign up. 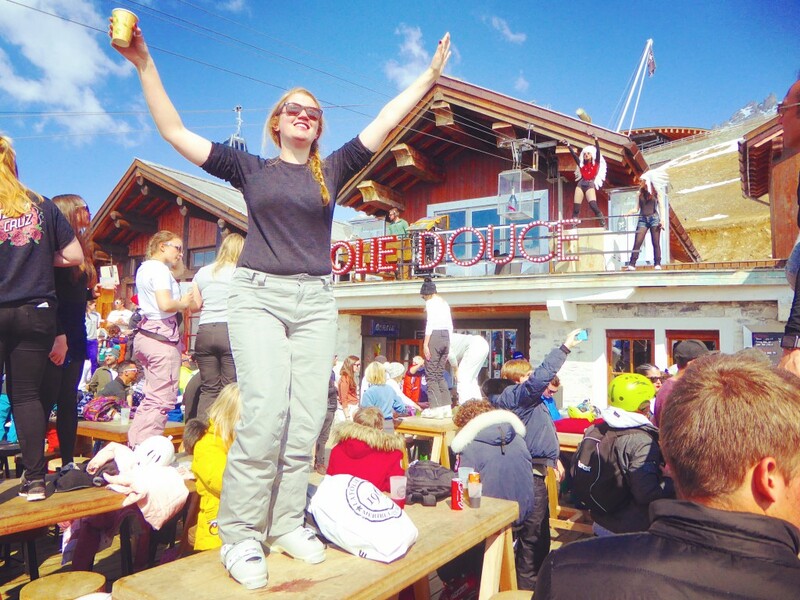 Discounts range from 10% off food and drinks to the best of all a 10 euro two course dinner with drink at La Folie Douce. You pay 5 euros for the card but instantly make your money back on a trip to La Folie Douce for lunch. The food is yummy and it is the bargain of the year… or at least the bargain of the 3 valleys! 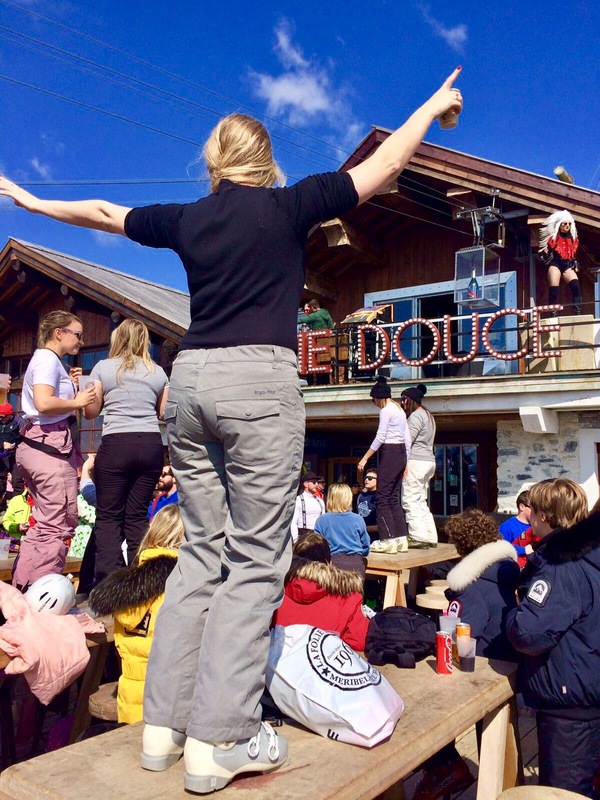 Obviously La Folie Douce lure you in with the discount card and before you know if your 3 vin chaud’s in and dancing on the tables… but you know! It’s still a bargain and dancing on the tables is a right of passage for skiers! Side note: The Crystal ski team were lovely and so helpful… especially Tom our rep who was there for anything pretty much 24/7! Cheers Tom. I highly recommend getting a lift pass that covers the whole of the 3 valleys and heading over to Val Thorens, where the pistes are higher and the food is cheaper. Wokski is the best bargain on the mountain. Tasty noodles and smoothies for 8.50. You get an extra euro off with the Crystal discount card too. It’s cheap and cheerful, but you can sit outside in the sunshine, chowing down on your tasty teriyaki noodles and be pleasantly refuelled for under a tenner! Bargain! 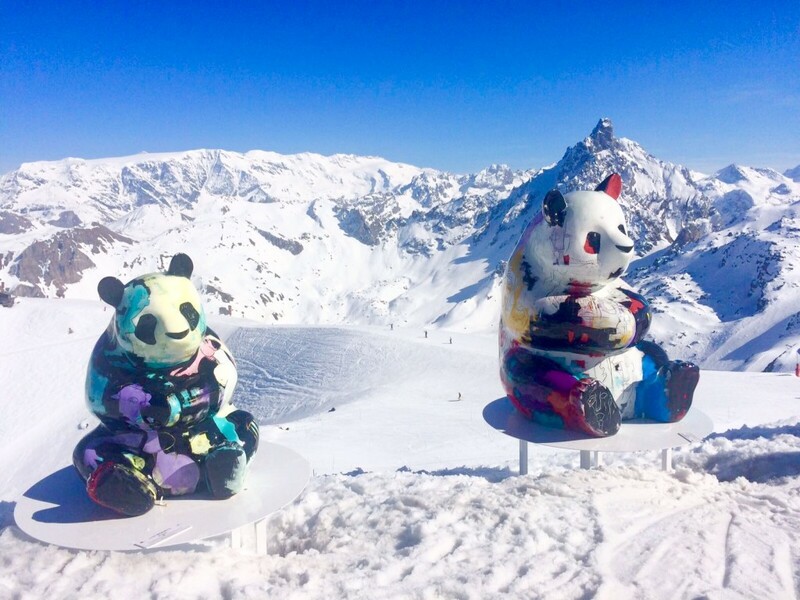 Make sure you leave plenty of time to return home though, it can take two hours to travel back from Val Thorens to Courchevel… at least it takes me two hours when I’m tired and grumpy and the snow is slushy and moguly… but that’s a story for another day! The final way to save money if you really are wanting to save your pennies for the next holiday, is to go self catered… and no you don’t buy your food from the Carre Four supermarche in the town, but you bring it with you from Britain’s very own Aldi or wherever else you like to shop on a budget. I haven’t done this before but I know plenty of people who have. Stock up your suitcase with tins of beans, sausages, pasta and chocolate and you can fead a family for a week on less than one lunch out in Courchevel 1850. You’ll still need a few things from the local shop, but no one wants to go to France and miss out on their fresh bread. That’s the whole reason I go and pretty much what I live off, however you can save a lot by stocking up what you can and bringing it along in your suitcase. Obviously check custom rules first, but pretty sure (for now) we can bring most things across the water.